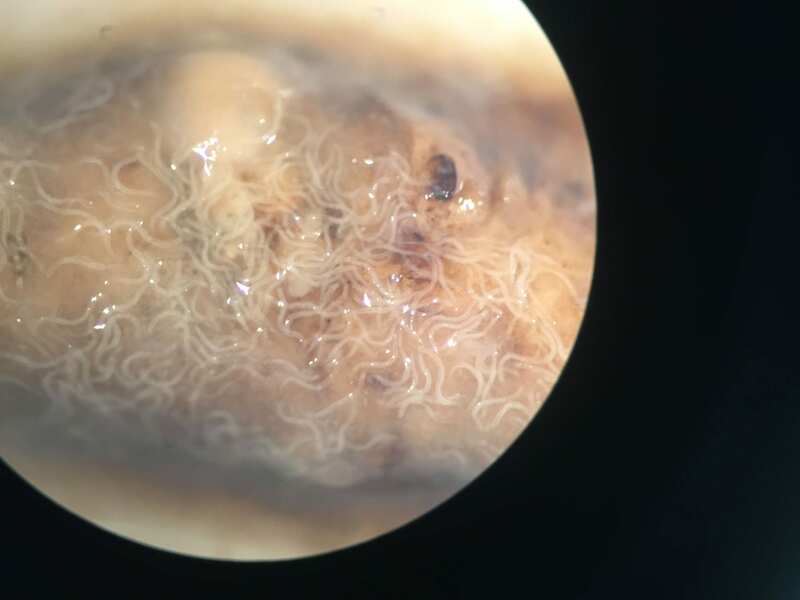 Nematode infection as seen under microscope. Biological control is a promising tool for managing pests while preserving the environment and keeping workers and turfgrass users safe. However, many unknowns remain about biological control in soil, limiting our ability to effectively manage belowground pests. 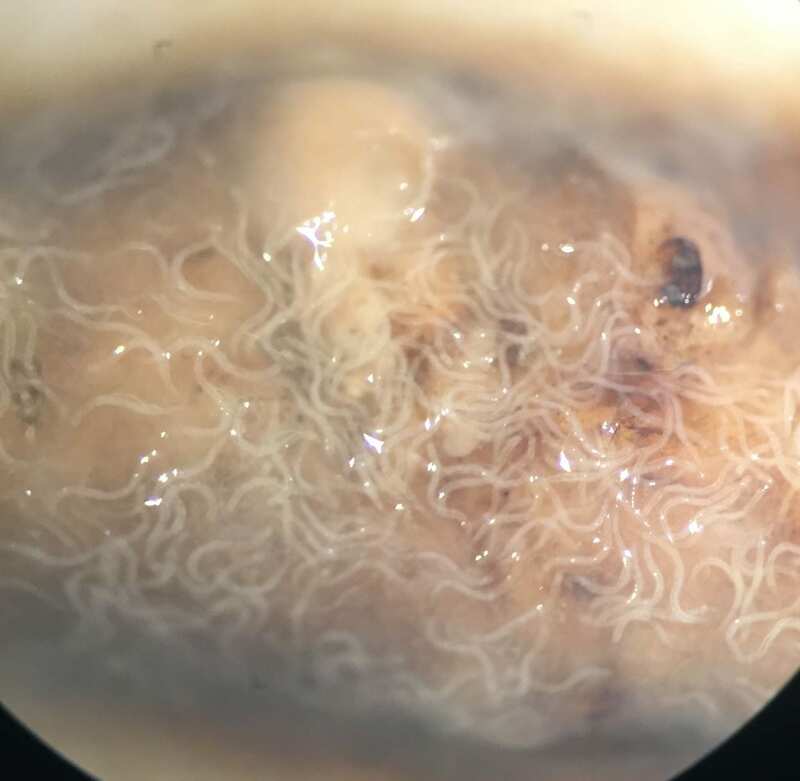 We evaluate the efficacy of insect pathogenic nematodes and fungi against soil pests such as white grubs in athletic fields and annual bluegrass weevil in golf course turf. We also conduct basic research into how biological control organisms fit into the broader soil environment, and how soil management practices and interactions with the soil community affect their performance.